Home People Brilliant and Black 12-Year Old Goes to Moorehouse College! The stories of brilliant and black teens get more and more amazing! 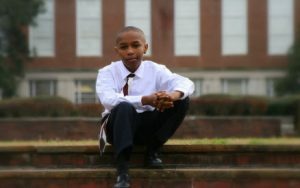 Here is the story of Stephen Stafford, who was accepted into Morehouse College when he was a preteen (around 11 or 12). This “child prodigy” was able to do 3rd grade math at the age of 2. That’s right…age 2! Here’s a video in which young Stephen explains his own genius. Even though this story ran a few years ago, it’s never too late to celebrate a good thing. And so, we say congratulations, Stephen. We’re proud of you. Previous article9th Grader Invents New Surgical Procedure!